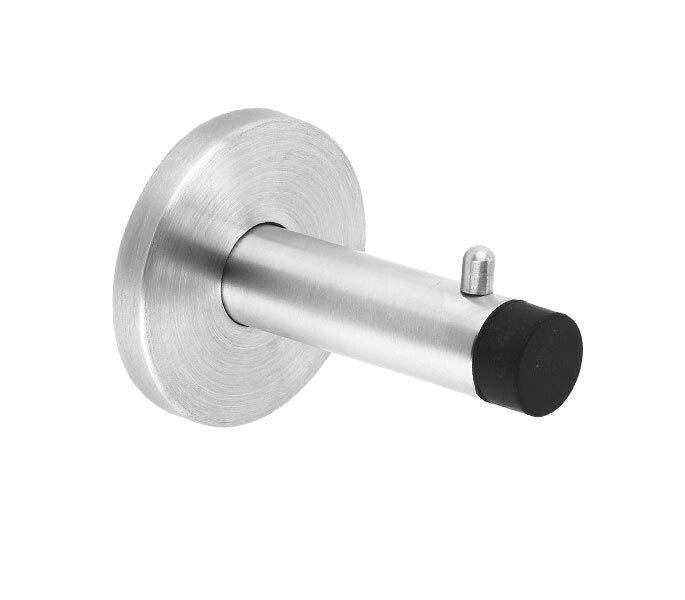 Our cubicle coat hook for glass cubicles has a 65mm projection, perfect for those seeking to install onto 13mm and 20mm board in additional to doors with a thicker measurement. The cubicle coat hooks are designed for installation in glass cubicle facilities, supplied with a black buffer on the end of the projection to help prevent damage to the door and partition when cubicle is in use. Manufactured from grade 304 stainless steel, the cover rose offers a concealed fixing to help prevent vandalism whilst appearing neat and subtle. The cubicle coat with buffer is suitable for installation onto glass cubicles and is sold singly, supplied complete with woodscrews for fitting with a neat three point concealed fixing. The design offers an aesthetic and practical appeal due to its smooth satin, low maintenance finish.